Do you remember last April when I announced my new fitness and healthy eating regime The Wag Doll Protocol? I had been offered a part in a short independent film and needed to tone up for the character. So throughout last year I worked really hard in the gym and eating clean....and it's a good job because filming for 'Jet Slade' has begun! 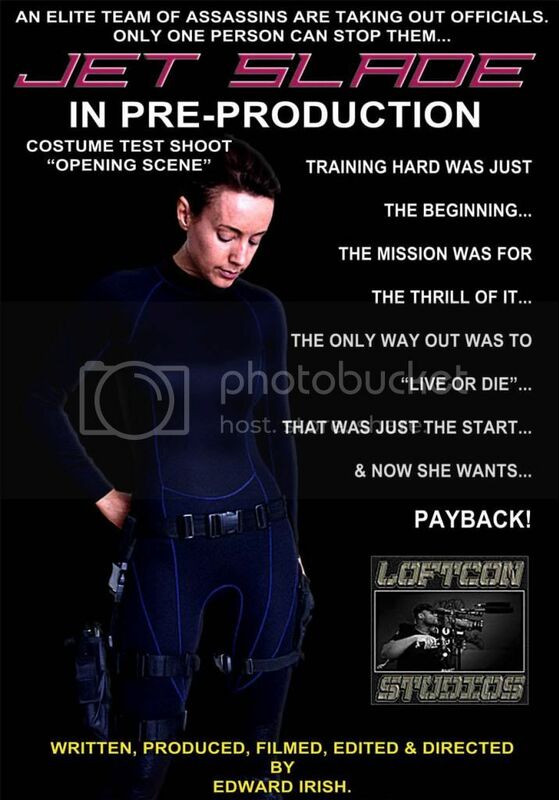 The production teams behind the project, Loftcon Studios and Pon De Way Promotions, have been working incredibly hard with all the preparation that goes into an action film, and over the last few weeks I've been involved in some test shoots. 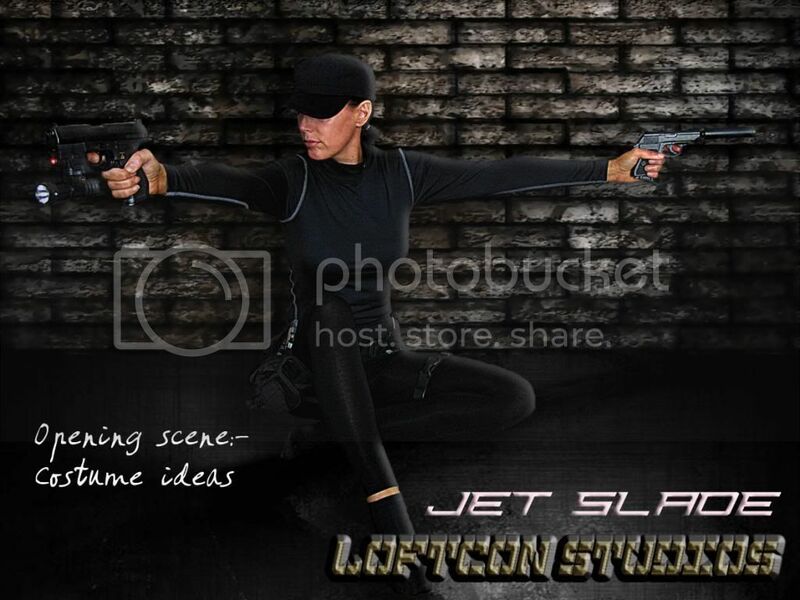 Here I am filming for some special effects we'll be using in the film. Excuse the slightly vacant look on my face at the start of the clip, that's my concentrating face! It will be an action packed race against time and I'm so excited to be a part of it. We work really hard on set, but it's so much fun! The people involved are all so creative and talented...I'm having a great time! As you can see from the teaser video and costume photo above I will be wearing some very unforgiving outfits, so after a break for the Christmas festivities I'm following a very strict training and clean eating regime. Back to the gym for Jet Slade!